Hey Greyhawkers, here is the results and commentary on my latest Greyhawk poll: "What Cult is the Next Threat?" This is to mean of course, we have been inundated with Iuz, Nerull, Tharizdun and Vecna cultists over the editions. What other evil gods might pose a good threat to your players? Incabulos god of nightmares and disease, leads the pack by a mile at 44% of the vote. His versatile portfolios makes his cultists capable of many dastardly plots. Plague the wells of a city? Check. Torture the dreams of a princess? You bet. Bring drought and famine on the local countryside? Every day. These cultists have to be hard working and delight in their work for Incabulos. To make matters better, he is served by Night Hags, the meanest of all hags. There is no deity more terrifying than the Dark Rider. His cult has been woefully ignored in Greyhawk canon but is definitely ripe for DMs to use in their own games. "The god of amphibians… and a god of self-deception and bigotry. Now, obviously, being a god of frogs and bigotry is amazing, especially this very like means that all amphibians in Dungeons & Dragons are unrepentant bigots, to the point where they pray for help in maintaining their bigotry. But let's not overlook the fact that Wastri is also the god of self-deception. If you're praying to Wastri so you don't realise something... haven't you already failed? And if you have deceived yourself, how do you know to pray to Wastri for thanks? I don't think Wastri thought this through. Probably too busy dealing with all those racist frogs." Next is Erythnul (17%) the god of massacre and hate; another underused deity in publications. 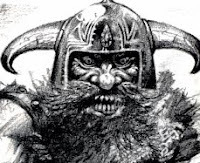 He is not only a very violent evil god, but his worshipers include your typical list of monstrous enemies like orcs, ogres, trolls and bugbears. Cult actions for Erythnul are nothing short of open warfare on populations or other vile atrocities. Interestingly Erythnul is a rival of the more popular canon god of war, Hextor, which could lead to some nice headaches for PCs caught in the middle. Also, Erythnul is the official deity of Stonehold (Hold of Stonefist) so there, you go from cult threat to state threat real fast. Good luck heroes. Wee Jas the goddess of death and magic and stuff, comes in at a paltry 15% probably because she isn't evil per se. The Stern Lady's cult, called Jasidans, is more an accepted religion in most lands, being strongest among Suel locations like the Scarlet Brotherhood. Her priests are generally stewards of the dead and would be counter to most evil cult's plots but her love of magic might lead her followers to oppose heroes during a quest for an artifact. Her followers, like their mistress, are lawful and probably vain, which can make them good foils for PCs rather than traditional villains. Despite all this, there could always be a cultist gone heretic in her service, employing shady wizards and planning to do evil in her name. So many possibilities. 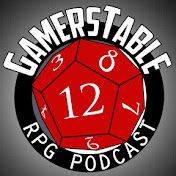 "This week's topic is one I've stewed on for a while. Carl Sargent's era of Greyhawk is well known for the Greyhawk Wars of course. One of the new concepts to emerge from this development was a breed of undead somewhere I'm guessing between lich and death knight in power. Ever since Greyhawk Wars, and the unpublished Ivid the Undying sourcebook, these undead haven't seen much play in later Greyhawk products. They just seem needlessly redundant to me with so many other sentient undead running around the Flanaess. So one of my true hopes if Greyhawk ever gets relaunched and "rebooted" is that the Great Kingdom doesn't go down this path again. Don't agree with me? Well after you read this comic, you'll probably change your mind. Heh heh. Enjoy." Wizard's latest announcement is a cross-media event this summer called the Stream of Annihilation. Part of the event is the unveiling of their newest story line product for the season. Given all the hints (the logo), prior build up (Tales from the Yawning Portal) and an upcoming Driz'zt novel by R.A. Salvatore involving Acererak as the antagonist, how can anybody not assume this Wizards rally is going to be about the Tomb of Horrors? My rant is that Wizards has become extra lazy if this is true. The Tomb of Horrors has become its own brand over the editions in that any time the fan favorite dungeon or its parts are featured, people will automatically buy it up. 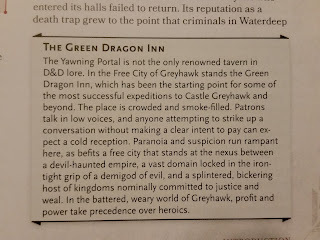 Nevermind that it's in the Forgotten Realms too (sorry DMGuild writers), ToH does predate Greyhawk though it's long been associated until now. 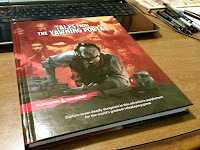 Now don't get me wrong, I like Acererak and the Tomb, but before Yawning Portal we got Return to the Tomb of Horrors boxed set, a Tomb of Horrors novel, and at least two other Tomb sequels since 4th Edition. Oh yeah and it's in the novel Ready Player One. Basically, Tomb has transcended Greyhawk long ago so I'm more upset with the glut not the property itself. This is a problem with being an older gamer, I like the nostalgia a lot and I like the exposure for the classics to new audiences, but damn this feels more like a cash grab to me because I already got all this other Tomb stuff. Was I asking for more? 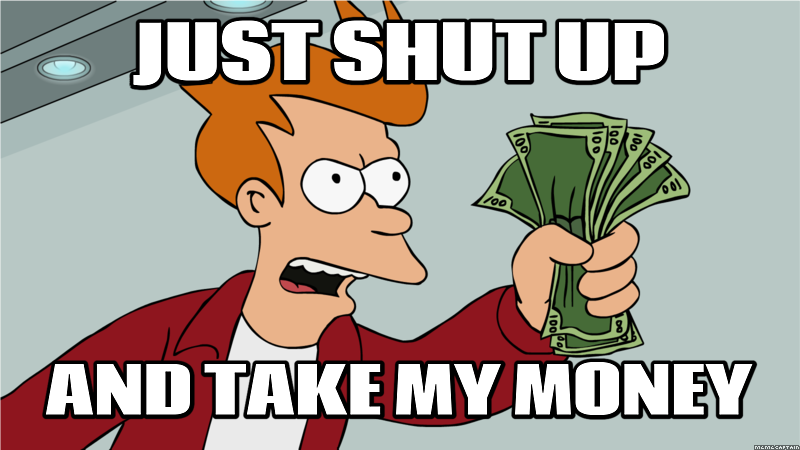 No, I'm asking for more Greyhawk, or Darksun or Dragonlance, hell, more Spelljammer. Fingers crossed that Stream of Annihilation wows me. What's your favorite campaign setting that hasn't been heavily featured in 5e yet? Greyhawk!Eberron runs a close second. Hey Greyhawkers! Tonight I am still basking in the afterglow of watching Guardians of the Galaxy vol.2. Anyone who knows me knows I'm a Marvel guy, and specifically a Thor fan. However, Thor comes second to (and maybe third to Cap) my love of the GotG movies. I cannot give an accurate or spoiler free review of the movie, so instead I will tell you why these two movies are important to me in a Greyhawk/D&D context. Misfit Groups. I am normally humano-centric when it comes to characters and my story focus. Misfit races bug me. This is a byproduct of working with Greyhawk. But the option to have a multi-racial mix of characters is there, it's D&D after all. GotG is not set on earth either so aliens of all kinds are normal, thus it shows misfit groups can work, with some growing pains of course. After a while you stop thinking about their differences and the group gels into a dysfunctional but strong family just like you'd want your D&D players to do. Opportunistic Heroes. Much like typical D&D adventurers, the GotG are rogues. They are stealing something for some rich guy or turning someone in for a bounty, etc. They might not be lawful, but as a group they are definitely good. Despite all their own motivations they end up doing the right thing in the end. And hey, if they find some loot along the way, it's well deserved! Over the top villains and monsters. Another thing the movies has an abundance of baddies. Most are weird humanoids or slimy creatures that you'd swear jumped out of a Monster Manual. The Big Bad Evil Guys are definitely on par with most Greyhawk uber-villains like Iuz. Many are also silly in nature, and that levity keeps the story relaxed, which I think is important to an RPG when you get to the end and want a heavy serious finale. No other super hero movies have this kind of dynamic. Exotic Locations. GotG is set in space on alien planets of course, so the comparison to a fantasy world is easy. 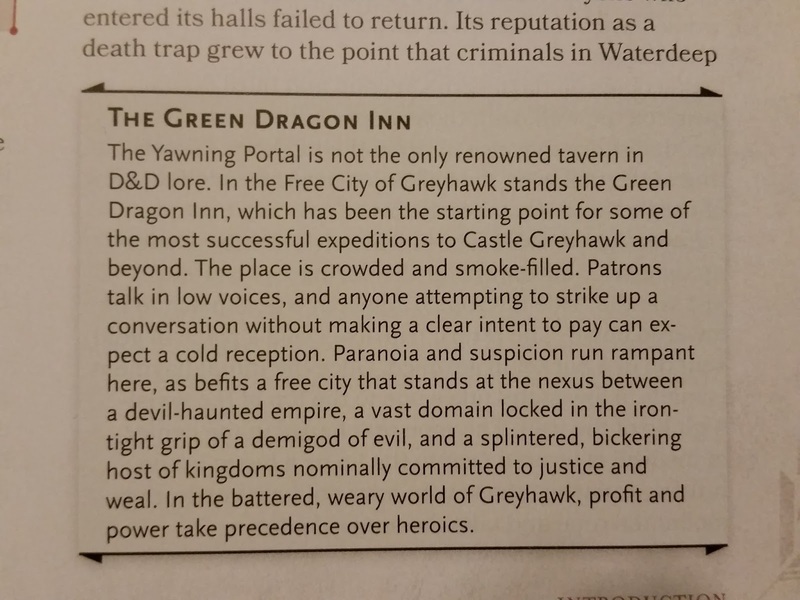 Greyhawk might be human-like culturally. but there are many exotic locations in the setting where the true adventure waits like the Land of Black Ice, the Sea of Dust or the Burning Cliffs. Yes, even a dungeon crawl is considered an exotic location in theory. How the heroes get there isn't always important (unless its a 9 hour Tolkien epic), indeed the destination is what grabs players. Numinous Objects. Guardians also reminds me that questing for valuable magical objects or even trying to keep the ones you already have out of the hands of villains is always a worthy plot. It' one thing to find the Hand of Vecna. But can you keep the lich and his minions from recovering it later? Sometimes even a mundane object presented at the beginning can have story implications later on. Keep stock of your items! Saving the World. Lastly, Guardians of the Galaxy moreso than any hero movie so far, shows that a ragtag group of misfits can be coerced by circumstances, into saving the world (or galaxy) on more than one occasion. I used to routinely have my players save the Oerth from some mega-villain-demigod plot then after a while it seemed overdone so I stopped. Now years later, in the age of hero movies, I see that it's not a tired plot after all. Saving the world (or the kingdom at least) is what players will remember the most! That's all for now. What did you think of the movie? Welcome back folks. 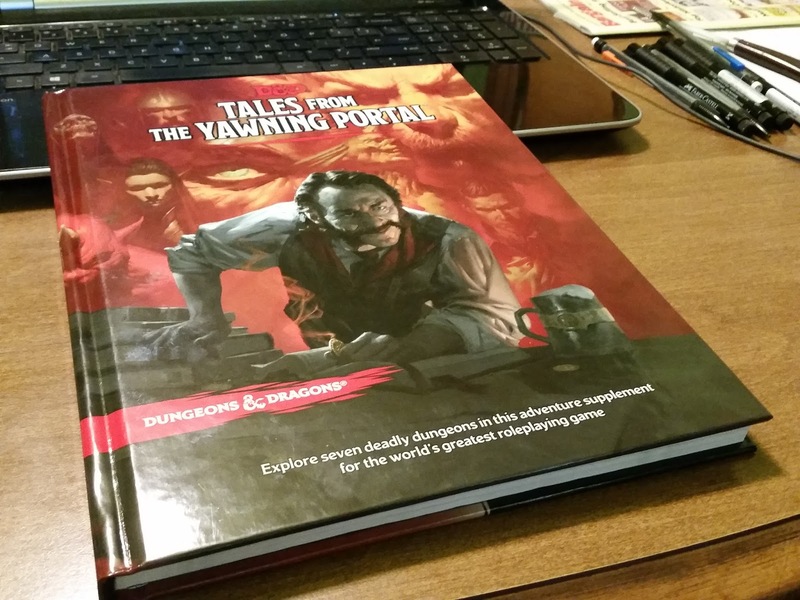 This week I finally got my copy of Tales from the Yawning Portal. This 5E book is a compilation of classic dungeon crawls adapted for the new format. I have nothing but admiration for the quality of this work and the art within. Today I'm here to discuss the page count of each adventure as it compares to the original and how this book preserves the Greyhawk content of each chapter. The Sunless Citadel by Bruce Cordell. Suggested location in Greyhawk: "The Sunless Citadel is a ruined Baklunish stronghold that was cast into the bowels of the earth when the Suel Imperium unleashed the Invoked Devastation. It is located in northwestern Bissel, in the foothills west of Thornward." The Forge of Fury by Richard Baker. Suggested location in Greyhawk: "Khundrukar stands in the Pomarj, in the western Drachensgrab Hills. The fortress fell shortly after the Hateful Wars, when a wave of orcs and other evil humanoid invaders swept over the region." The Hidden Shrine of Tamoachan by Harold Johnson and Jeff Leason. Location in Greyhawk: The Amedio Jungle. White Plume Mountain by Lawrence Schick. Dead in Thay by Scott Fitzgerald Gray. Suggested Location in Greyhawk: "Perhaps Rary the Traitor found the Doomvault -yet another vestige of ancient Sulm- under the Bright Desert." Against the Giants by Gary Gygax. Tomb of Horrors by Gary Gygax. Analysis: I guess I've always known that 1E modules were short, but compared to later mods from 2E onward, they were thin indeed (due to their convention use). That said it's remarkable that some are increased in page count like Tamoachan and Giants. All in all every adventure seems to have been rigorously redesigned; keeping all the flavor and detail possible of the originals. Only Thay takes a huge page count hit. I never owned that module so I can't comment on what it lacks exactly. There is an additional 20 pages of monsters and magic item stat blocks in the appendix of TftYP which of course would've been found in the pages of the originals further padding these numbers by a few. I am also happy with the suggested locations in the Greyhawk setting. I'm sure Chris Perkin's hand was involved, but of the three modules not already set here, they managed to find good spots within the central Flanaess. Smart and accessible. I applaude WotC on this effort. Sure, I like the nostalgic stuff better than their original work so far, but I am looking forward to using this book, quite possibly cover to cover.